Boasting excellent driving properties in any terrain, the brand´s new compact SUV, the ŠKODA KAROQ, calls for exciting off-road experiences. Designed to maintain your car´s elegant look even after such trips, these rear mud flaps are robust and resistant enough to protect the car´s rear against soling and its anti-corrosion paint layer against gravel flying off the wheels while keeping water from splashing around and reducing the risk of damaging vehicles behind you. You will appreciate their benefits in summertime when they trap dust whirling on the road, as well as in wintertime when they reduce the quantity of aggressive road salt landing on the bottom parts of the vehicle. The flaps are made of high-quality flexible plastic whose shape stability is guaranteed between -50 °C and +50 °C. Moreover, they are resistant to UV radiation and chemicals such as fuels, oils, road salt, etc. 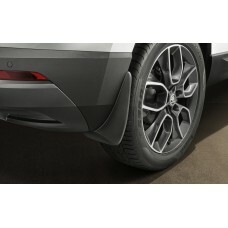 Perfectly copying the shape of the wheel well, the flaps do not affect the vehicle´s aerodynamic properties. Their simple installation on the wheel wells does not require any adaptations to the car´s bodywork, i.e. its corrosion protection properties remain unchanged. 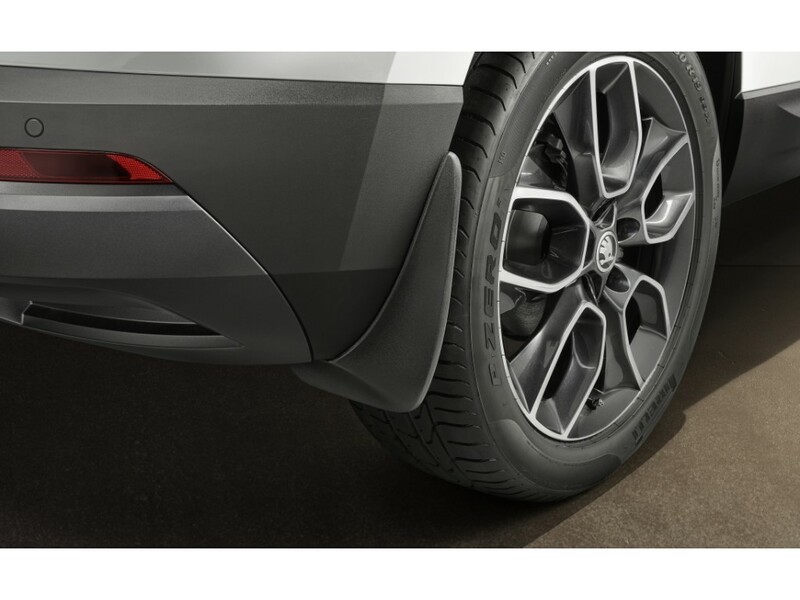 No matter where you go, the rear mud flaps will help you keep your car clean and without scratches. Set contents: Rear mud flaps (1+1), expansion rivets (2), plugs (2). Installation position: On the wheel wells - fixing material that is part of the set plus fitting material removed from the vehicle. 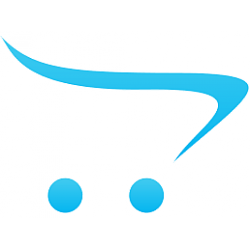 Maintenance: Maintenance-free - in a car wash or manually, using ordinary detergents. 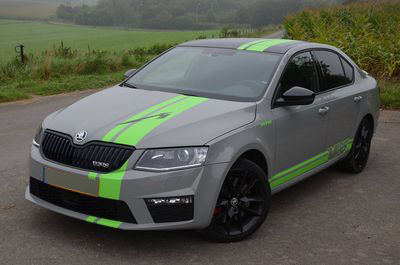 Condition : 100% Brand NewBrand : Skoda AutoTheme : Skoda Karoq front mud flaps item: 57A075111..
Theme : Skoda external mirrors decorative caps for Kodiaq and Karoq Item: 57A072530 Painted black me..